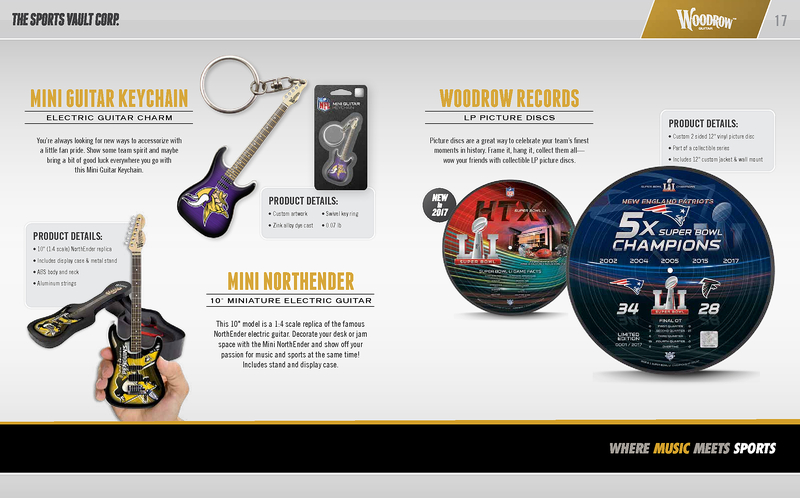 Show everyone you're the king fan with the Nhl officially-licensed Los Angeles Kings Mini NorthEnder Guitar by Woodrow. 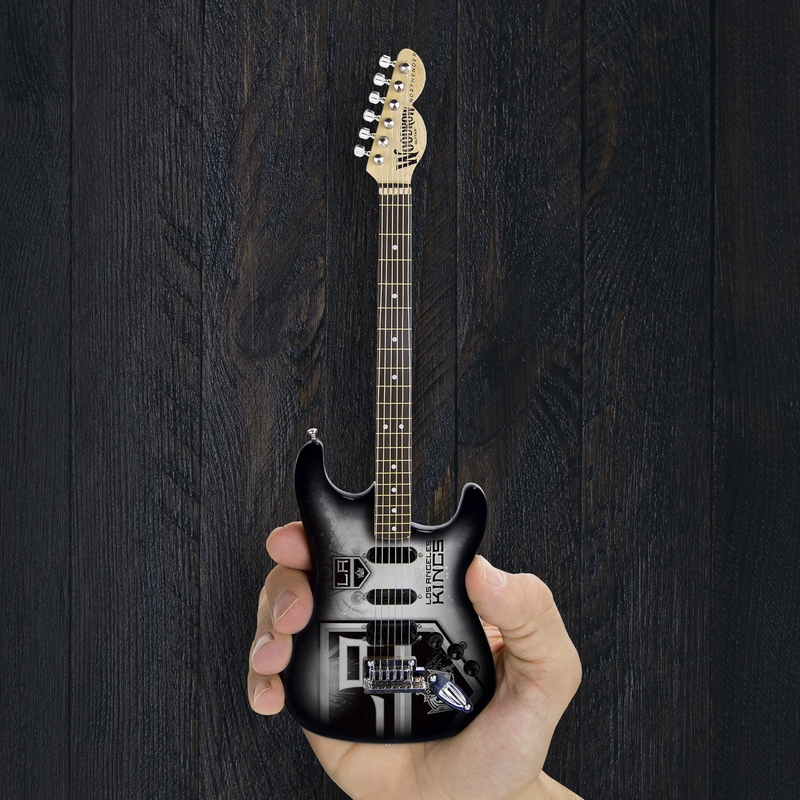 Offset by the perfect combination of metal and wood, this eye-catching miniature guitar is emblazoned with the flashy team logo and colors. 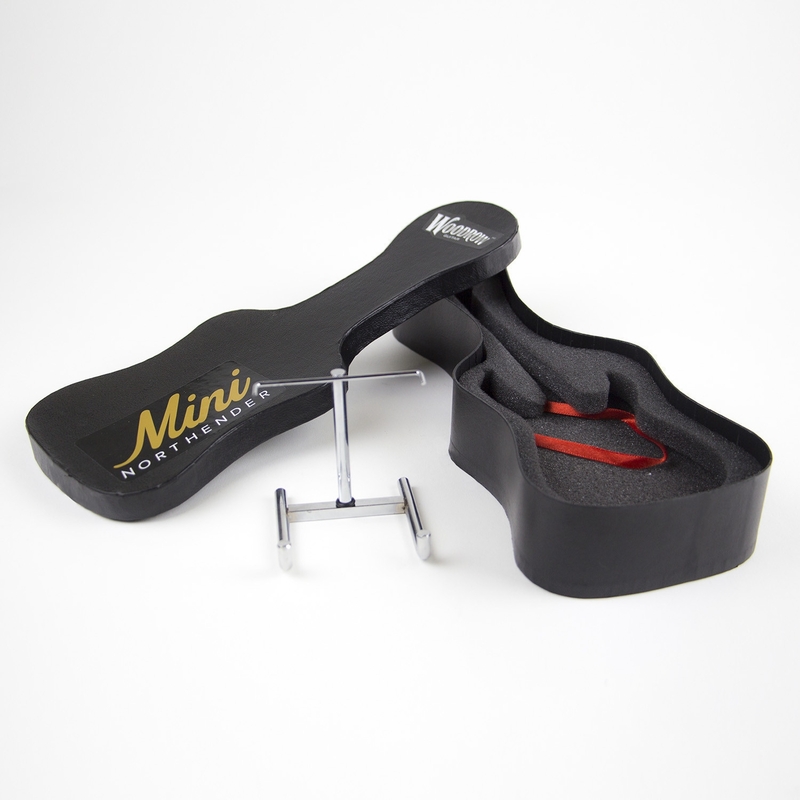 Boldly towering at 10" tall, the Mini NorthEnder is an exact replica of the legendary NorthEnder Guitar by Woodrow. Whether you display it on your desk, trophy case, bookcase, or anywhere else, this iconic collector's item will leave no question about where your allegiance lies. 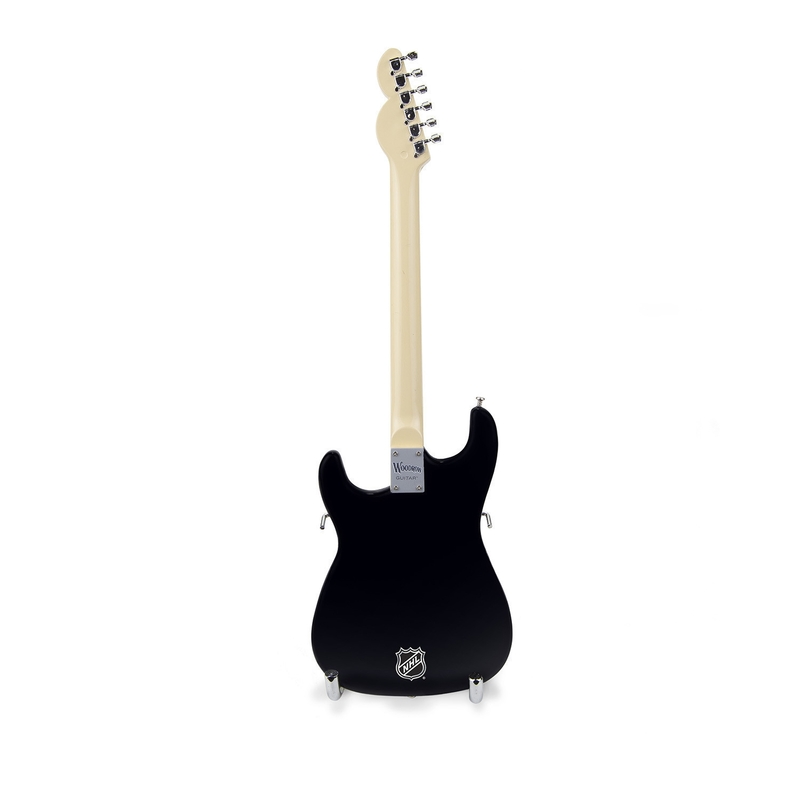 Every Los Angeles Kings Mini NorthEnder guitar is shipped with a stylish display case and guitar stand to proudly display your passion of music and hockey. Regardless if you bolster your starting lineup of memorabilia or gift the guitar to another fanatic, this guitar will elicit a standing ovation. 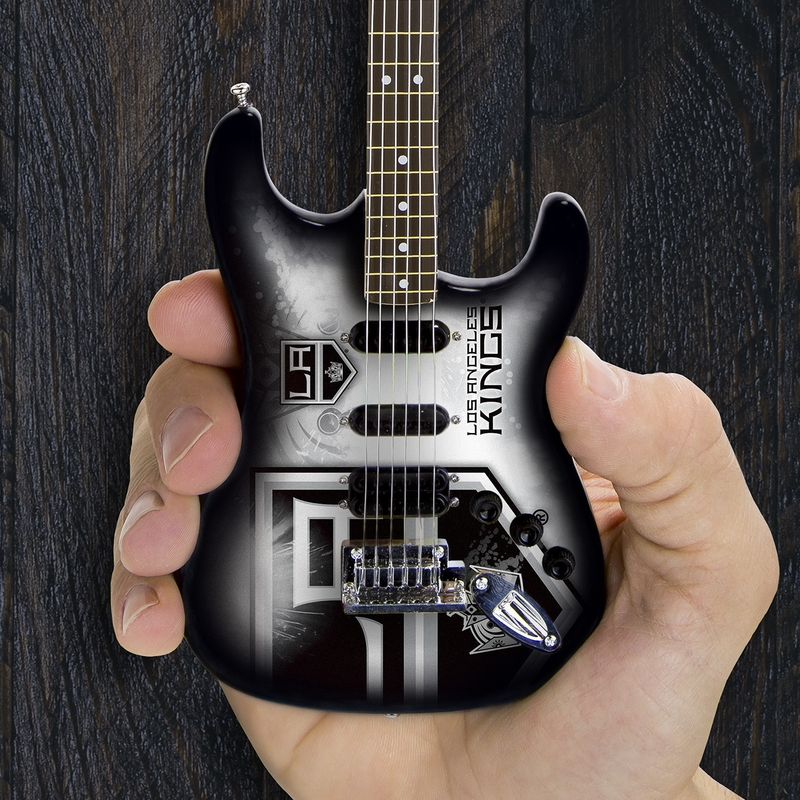 Ensure you're the king of your throne and order the Nhl officially-licensed Los Angeles Kings Mini NorthEnder Guitar by Woodrow today!